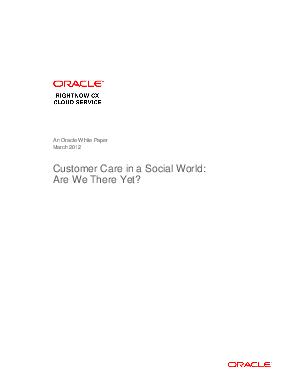 Social media is transforming customer care and should be considered a strategic vehicle for delivering excellent customer experiences. A majority of social conversations are ‘noise’, however, there are topics that are relevant to different parts of the organization. When the topic is customer-service-related, most organizations are ill-equipped to deliver the level of support needed resulting in a splintered, disjointed customer experience.